HOW MANY CHECKPOINTS WILL YOU FIND? 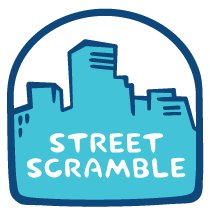 Street Scramble is an urban adventure! Checkpoints are marked on a map and it’s up to you (and your teammates, if you have them) to find as many as you can before the race clock runs out. You can run, walk, bike, push a stroller, kick a scooter– it’s up to you! 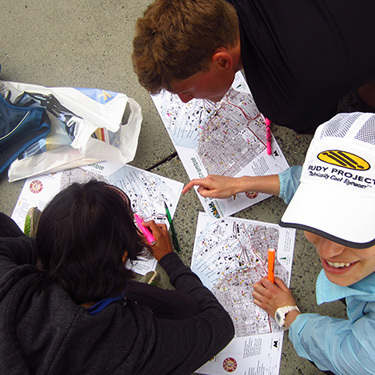 At Street Scramble, the fun is in the exploring; go as fast, slow, near, or far as you like. Whichever way you travel, you’re bound to discover something neat. Join us, and uncover neighborhood treasures with your friends, family, or co-workers! Eric is a geek when it comes to exploring outdoors, and he created MerGeo to share this passion. 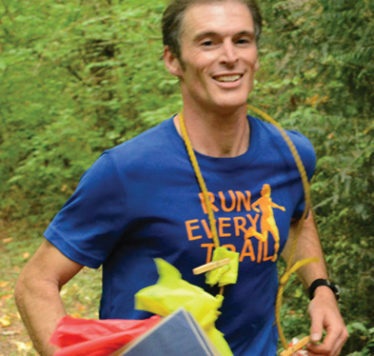 As an internationally ranked orienteer, Eric is expert at course design and map making, with a knack for showcasing the hidden treasures of both city and wilderness environments. Eric's courses are known for their accuracy, creativity, flow, and attention to detail. When he's not creating the next event, Eric works as a computational biologist and enjoys science, humor, politics, singing, both competitive and leisure activities outdoors, and most of all spending time with family and friends. Kati has been the go-to gal at MerGeo events since June 2017. 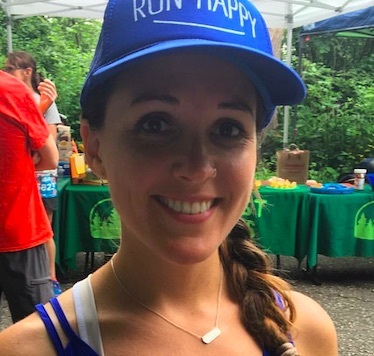 Kati is already an avid member of the running community through Brooks, Seattle Running Club, and is also co-director of the Cougar Mountain Trail Run Series. 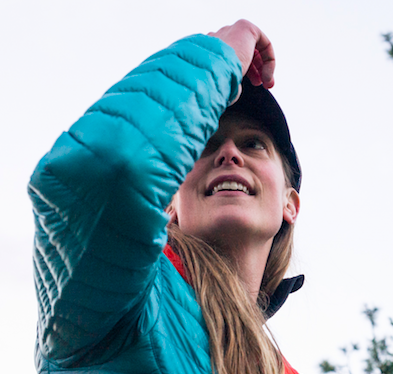 Kati brings a love of running, a keen eye for details, and a warm presence to our events. When she's not working two full time gigs, Kati enjoys traveling, cooking, and sharing a cold brew with her husband and Cougar Co-Director, Dustin. When you don't see Gretchen at events taking pictures, chatting with folks, posting away on social media, or marking courses, you'll most likely find her on the trails or on the road! After 17 years working for the YMCA of Greater Seattle, Gretchen switched it up for road trips, mountain ultra-marathons, and focusing more on family and friends. Gretchen joined the MerGeo team in October 2015 and found it a perfect fit for her current passions.